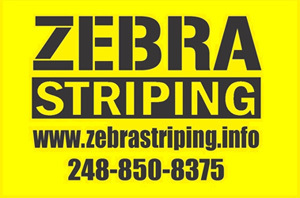 Started in 2005, Zebra Striping has risen to become Metro Detroit's top Pavement Marking Contractor. The owner, Robert Marcis, personally answers the phone, replies to e-mails, and performs the striping work, ensuring a job done professionally, on-time, and on-budget. Zebra Striping also partners with the area's premier Asphalt and Sealcoating Contractors to provide additional pavement services. Why re-stripe your parking lot? •Your parking lot is the first thing your patrons see!